We all love to love on our dogs. A little snuggle can quickly turn into "Yuck!" when your dog's breath smells like something died. Have no fear, we bring you 4 Homemade Dog Treats worthy of a hug and a kiss. Start with our Mean Green Breath Fighting Treats. They include peanut butter to please the most discerning palates. A second choice for battling the doggie breath is an odd dog cookie, but an effective one at taming the breath beast. 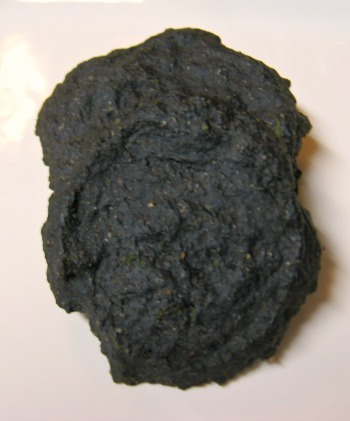 You must try our Charcoal Black Beauties Dog Cookies Recipe. We added a healthy dose of chicken broth to this cookie to help your dog love the taste. Activated charcoal helps to clean your dog's breath from the inside out. 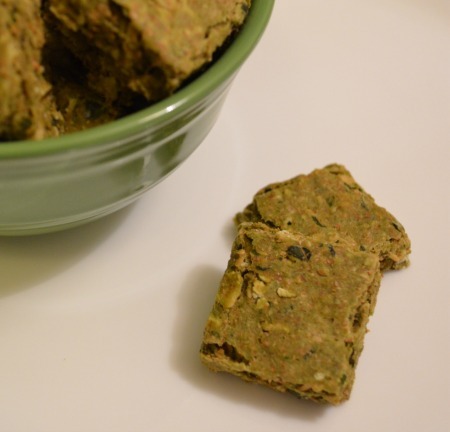 Last but not least, we have 2 favorite dog treat recipes that feature mint and parsley. Be sure to make one or all of these dental care dog treats this month. Learn more about how to keep your dog's teeth, gums and overall oral health in check by visiting the American Veterinary Medical Foundation article on Pet Dental Care. February 23rd - National Dog Biscuit Day. Yes, every day here at DogTreatKitchen.com is dog biscuit, cookie and treat day, but for everyone else, take a moment to appreciate the humble dog cookie. We show love, care and concern for our dogs through the simple act of giving a treat. We also show our care for our friends dogs when we share a big batch of homemade dog treats. But, maybe most important of all is making a special treat for a dog waiting for their forever home. Share a cookie with your furry friend and appreciate the dog who shares your life. 15 Easy Dog Treat Recipes with 5 Ingredients or Less! Or, make a day special with a celebration dog cake with my Dog Cake Recipes for Every Occasion. Then you can make endless amounts of healthy, yummy, tested dog treat recipes that are already being enjoyed by countless dogs.